Do you find small silvery insects in your old books or any other dark spaces? These silver-colored insects are Silverfish and very small in size. Silverfish is a wingless creature with a fish-like appearance. These are small interesting creatures but an infestation of these bugs could be annoying. These are also called bristletails for its three tails protruding at its abdomen’s last segment. The silverfishes have silver scales on their body. These pests move fast in any direction. The pests can grow up to 12-19 mm in length. The color could vary from white to brown-grey and are even found in bluish-silver color. Silverfishes can survive in any type of environment but thrive in high humidity conditions. You can detect the silverfishes in dark and damp areas. Though silverfishes are not dangerous for humans, you need to take immediate steps to control the nuisance creating pests before the infestations spread throughout the house or office. 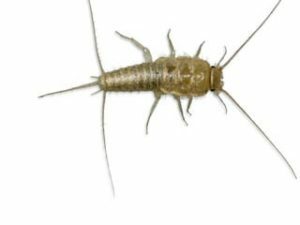 Silverfish infestation can go unnoticed for a long period which will cause extensive problems. Silverfishes damage books, paintings, photographs, plaster as well as other household items that contain starch or cellulose. You must learn about the health concerns associated with silverfishes that would prompt you to take immediate actions. You never will know the presence of silverfishes unless the infestations grow severe. You can detect the pests learning about the symptoms of the silverfish infestations. You must also learn about different species of silverfishes found in Australia. You can try with your DIY skills to remove and control the infestation. But, appointing professional pest controllers for the job will prove effective and long-lasting for Silverfish, cockroach pest control & all other crawling insects control services. Enviro Safe Pest Control is a fully licensed and insured pest control service provider.